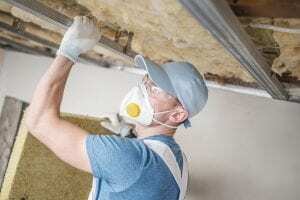 Insulation is something many Knoxville homeowners may rarely think about – until the temperatures inside the home become less stable, or their monthly energy costs keep climbing. If you have experienced any of these problems and your HVAC system is working just fine, then you should know that home insulation is the likely cause of your home’s energy inefficiency. 31-W Insulation proudly offers professional insulation replacement as a proven solution for energy-inefficient homes. Since 1972, 31-W Insulation has helped homeowners throughout the Southeast improve the comfort and functionality of their homes, and we can do the same for you. We will start with a complimentary, at-home consultation during which we will discuss your needs and budget, and offer you several insulation options. You can choose batt or blown-in fiberglass insulation from respected brands such as Owens Corning® and CertainTeed, or you can go with foam insulation from top manufacturers like Knauf and Demilec USA. Furthermore, only our highly trained employees—not subcontractors—will perform your insulation replacement, thereby ensuring that our industry-leading standards of workmanship are upheld. To learn more about our insulation services, or to schedule a consultation at your Knoxville home, contact 31-W Insulation today.